At least I am under the impression that they are rare. 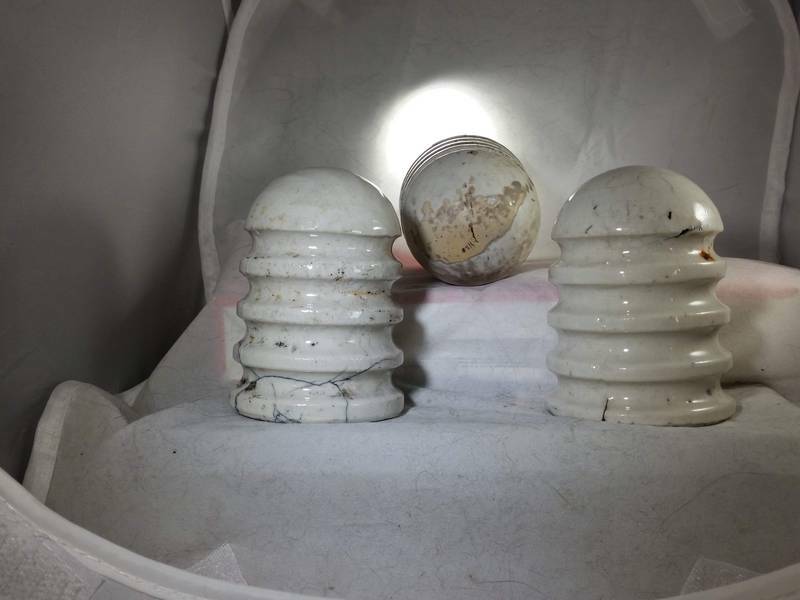 These 3 U-76 insulators were part of a big collection we purchased on Sunday [id=542938267]. The one on the left has some surface cracks, the one on the right is in excellent shape, and the one in the back has a lot of soot or something on it, and as you can see, a big patch of missing glaze on the dome (a factory glazing defect I think).